1. 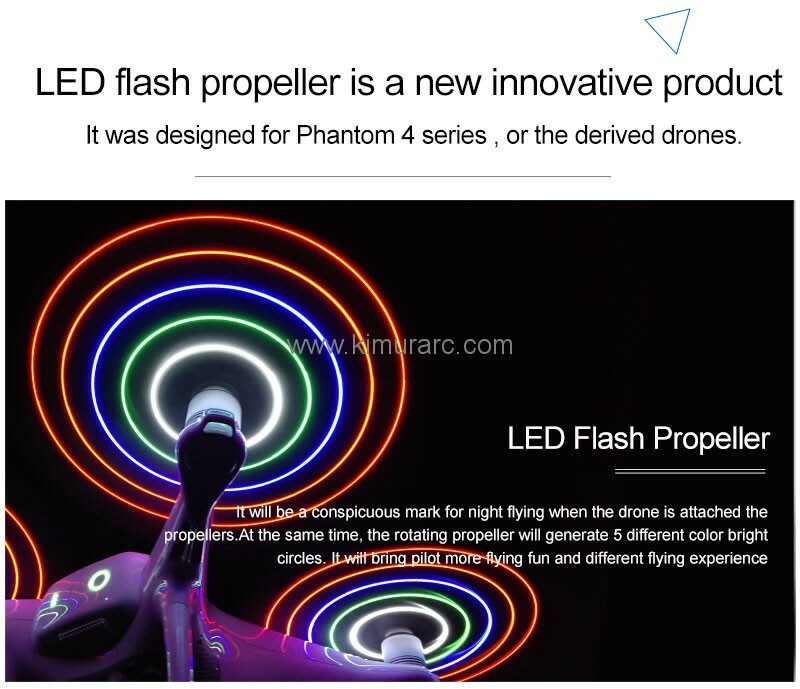 LED flash propeller is a new innovative product. 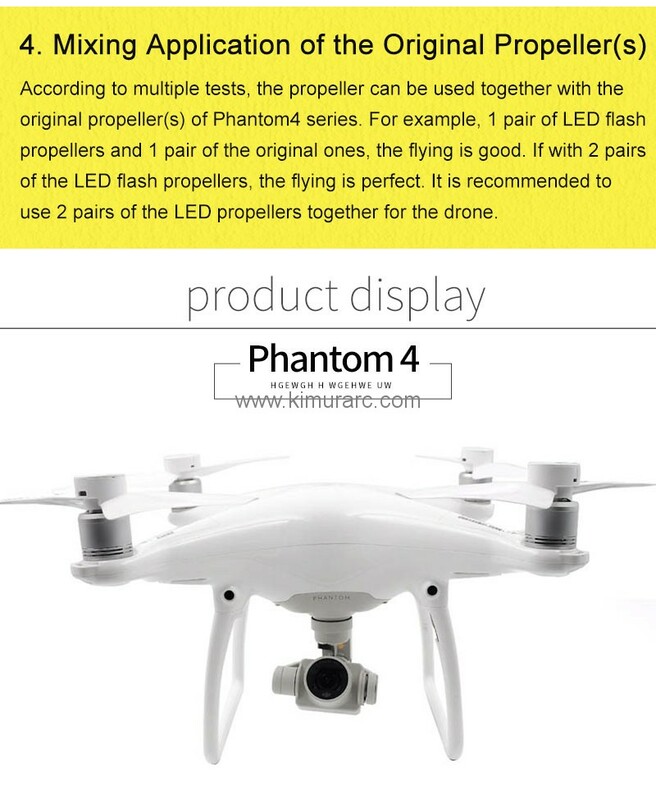 It was designed for DJI Phantom 4/4pro/4pro+ etc.. 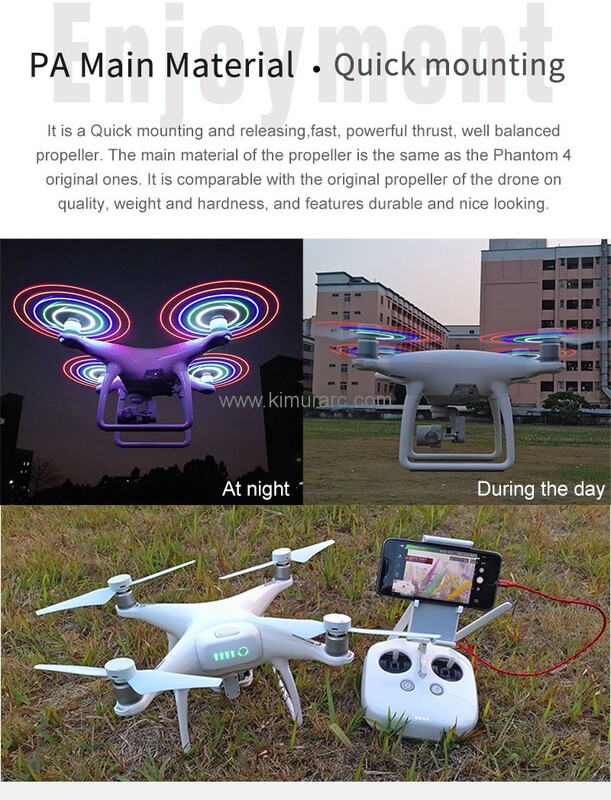 It will be a conspicuous mark for night flying when the drone is attached the propellers. 2. LED light strip root root surface may be uneven or prominent, is a normal situation, please rest assured that the use of this product. 3. 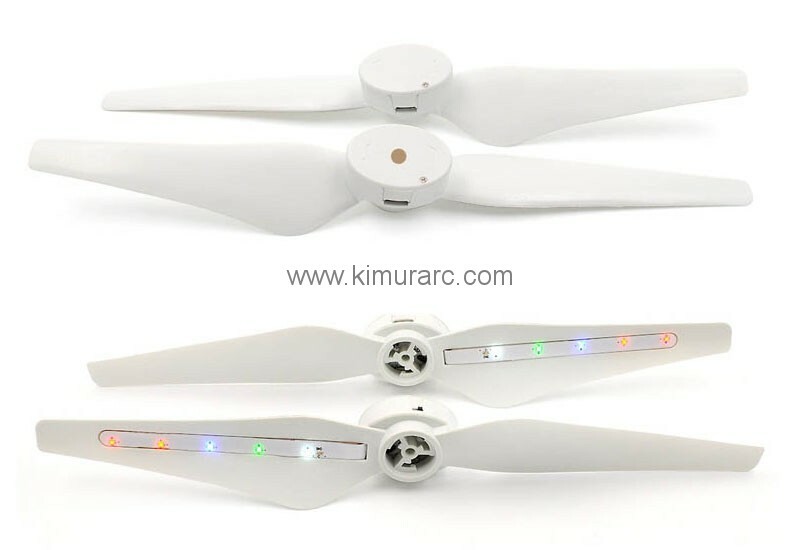 It is not recommended to fold the propeller vigorously and repeatedly, otherwise, the LED light strip may break off. 4. 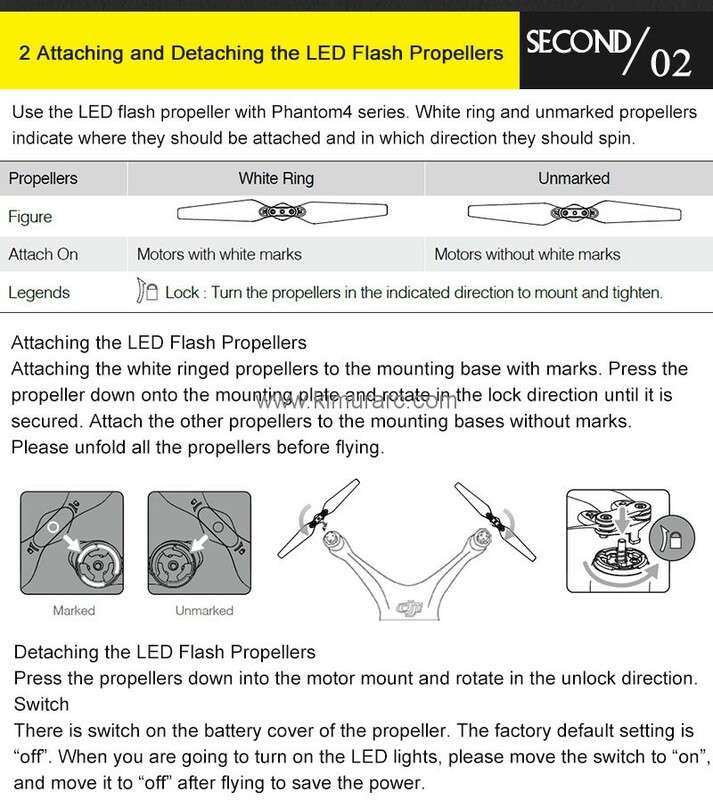 Please turn off the power of the LED lights after flying. 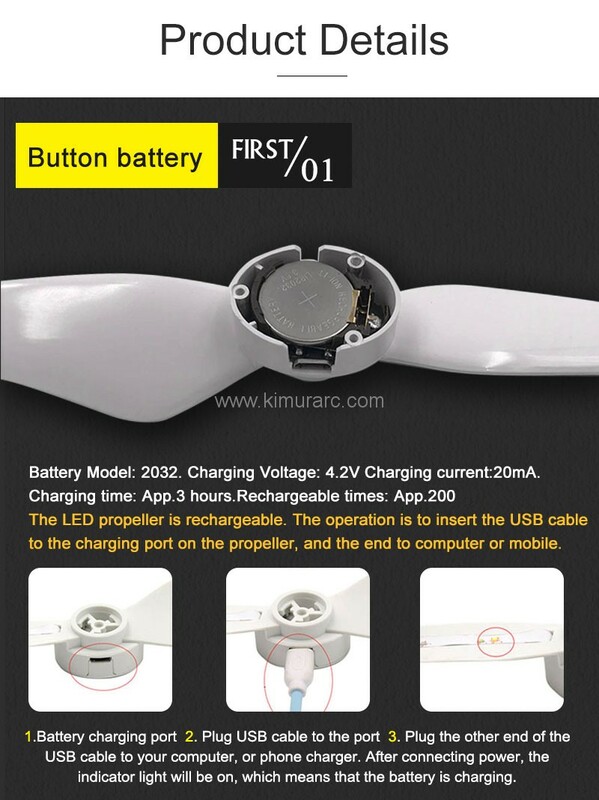 If the light is weak, please charge in time(the propeller is support charge,so you don't need to change batteries). And don’t use it in raining or snowy day to avoid improper working of LED. 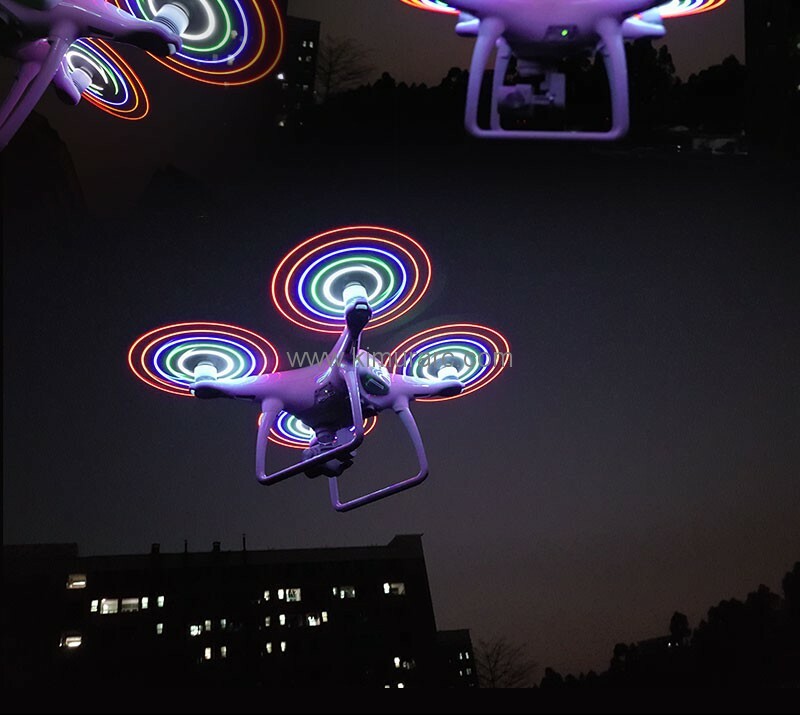 5.The crash accident of the drone may damage the LED light(s). 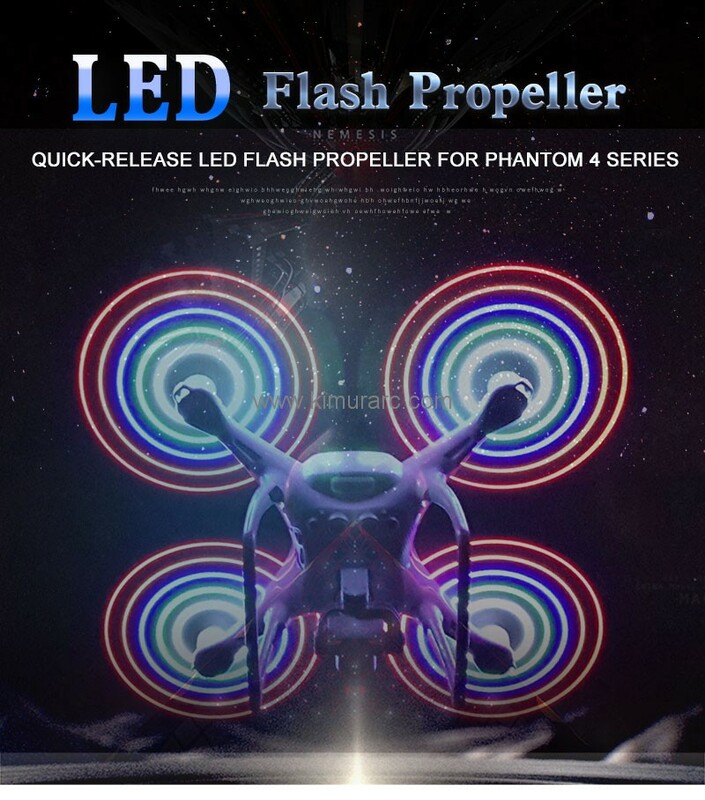 If it is not light, please change the propeller. 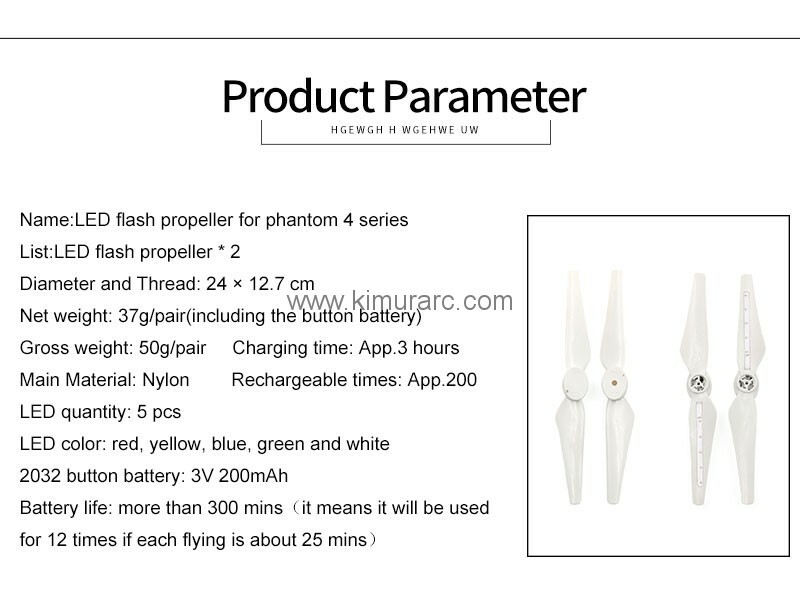 6.This LED propeller suit for all series of dji phantom 4,and the most important is the LED propeller it can charge,so when you used run out of the batteries power,you don't need to buy batteries to change it,you just need to charge. 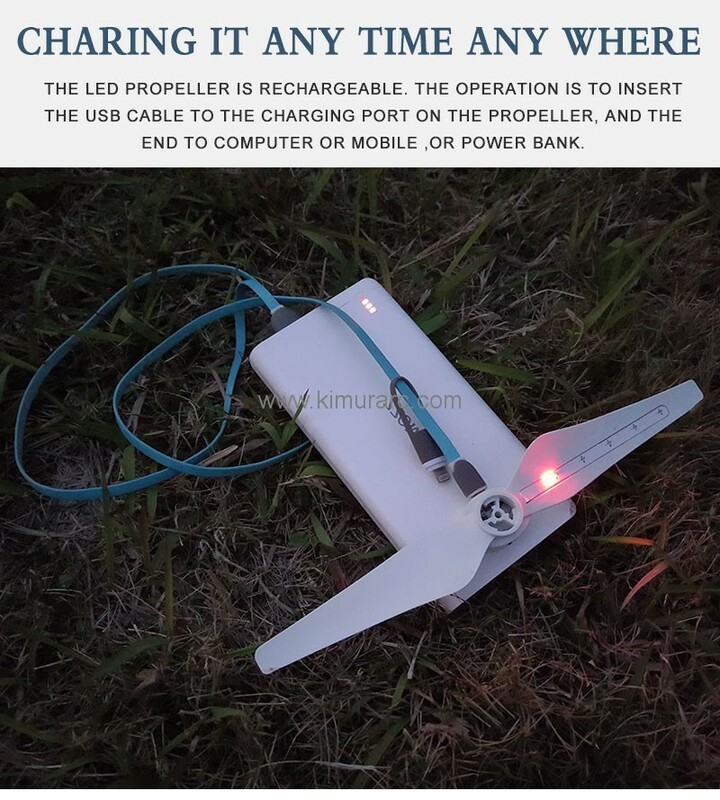 When you need to charge,you can use the android USB cable or dji phantom 4 charge USB cable. 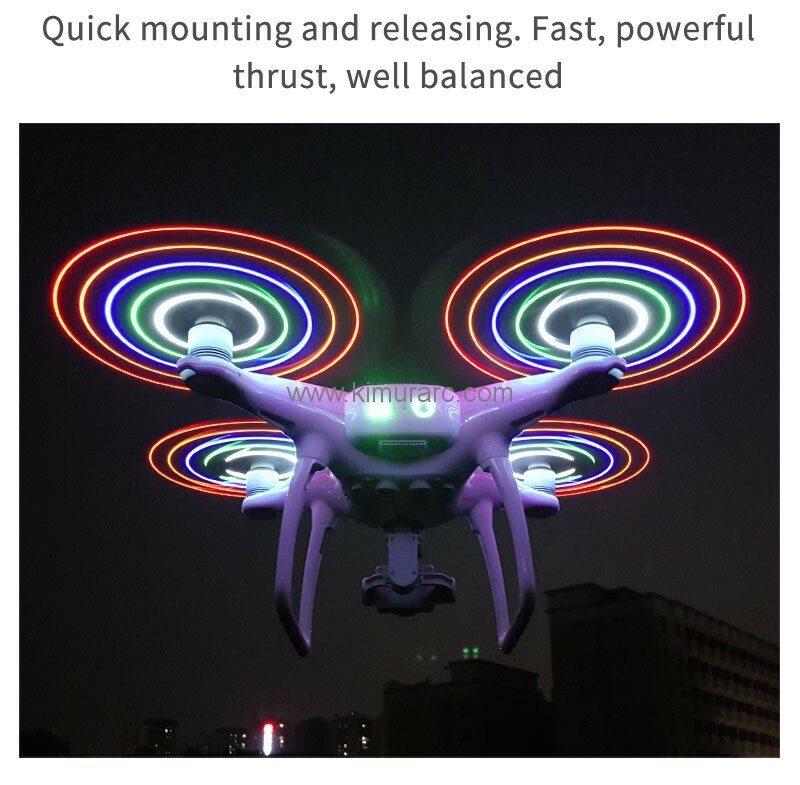 2.LED color: red, yellow, blue, green and white. 3.Diameter and Thread: 8.3 * 3.1 inch. 4.CW/CCW propeller mark: CW propeller with white ring,CCW propeller without white ring. 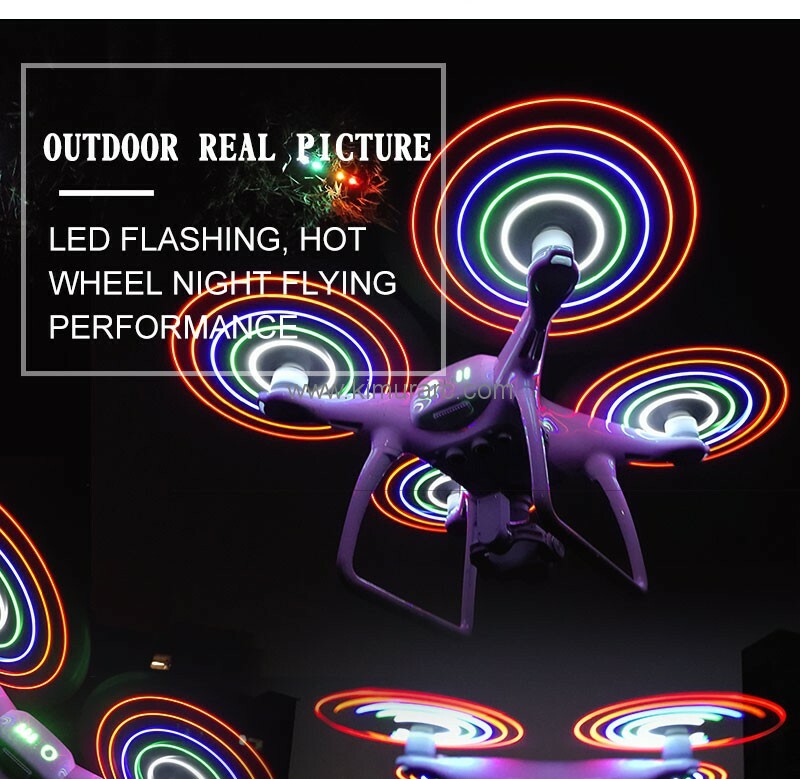 6.Highlight: LED flashing, hot wheel night flying performance, new aerodynamic design and longer flying time. We don't included the USB.